In order for children to be successful in life there are some essential social skills they need to know. Many kids learn social skills such as sharing and resolving conflicts from watching others around them. However, some kids need to be taught these skills. 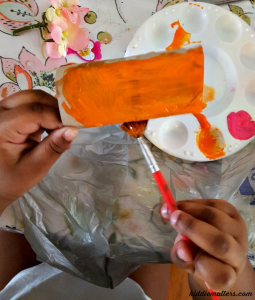 I’ve found that the best way to teach these skills is through fun, social skills activities. I really enjoy doing creative social skills activities with the kids. It keeps them engaged and most of the time they don’t realize they are learning social skills while completing the activity. The latest social skills activity we worked on was role playing social skills with a fairy garden. We started out making a zen garden, but my 4 year old daughter wanted something a little more colorful. I figured a fairy garden would be a good alternative to the zen garden. It allows kids to engage in imaginative and small world play. 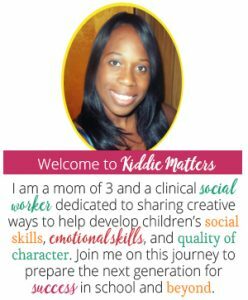 Both of which are wonderful social skills activities to help kids practice sharing, taking turns, and communicating as they play together. 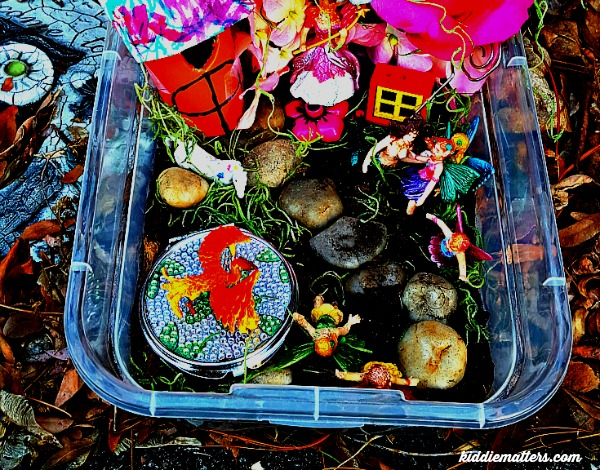 Fairy gardens are fun for preschoolers and for school aged kids. I did this with my 7 and 4 year old and they both loved it. Also, fairy gardens aren’t just for girls. My son added some dragons and he came up with some amazing story lines for the fairies. If you’re working on social skills activities in a group setting, the kids can practice sharing supplies and giving compliments to others on their gardens. • Stones or river rocks (we purchased ours from the Dollar Tree but they can be found at Wal-Mart, Michael’s, and JoAnne’s). • Other embellishments of your choice (i.e. painted rocks, sticks, etc). Once you have all your supplies ready, it’s time to get busy making your gardens. Although there are no right or wrong ways to make these gardens, below is a guide to help you create your fairy gardens. It’s best to paint everything that needs to be painted first. This way you can work on other parts of your fairy garden as your painted items dry. Kids have a tendency to saturate the toilet rolls with paint. 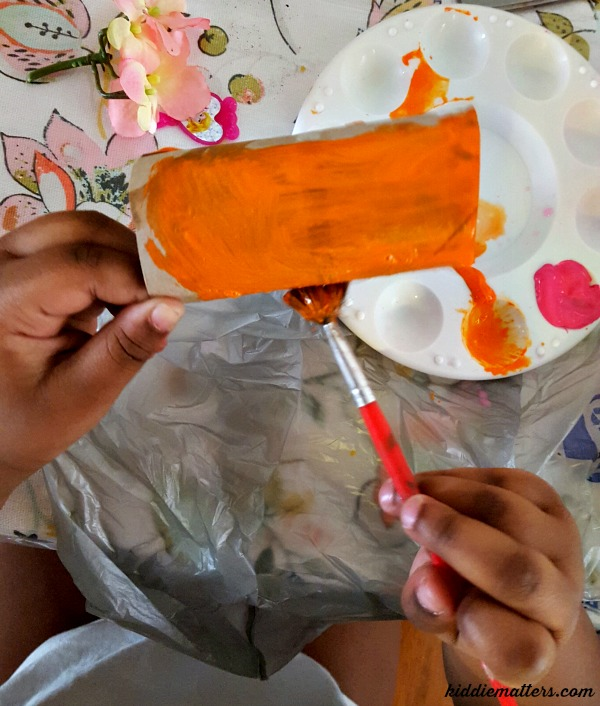 You’ll want to remind them that they only need one thin coat of paint. If not, it will take a while for the paint to try. How much soil you use depends on the size of your container. We filled our plastic bin half way which was roughly 2 inches deep. This kept the figurines secure and it was enough soil for the kids to dig into. If kids use too much soil you might end up with soil all over the floor. It might be helpful to give them the exact amount of soil they will need. This is the fun part! Here’s where kids get to let their imagination and creativity run wild. Have them lay out their rocks, pebbles, flowers, and other decorations the way they want them. My daughter had this narrative of a fairy princess living in a castle made of flowers so we surrounded our fairy princess with lots of flowers, pink of course! Once you have your fairy garden set up, it’s time to start role playing! 1. You try to help a friend who is sad and she yells at you. It’s helpful to process the role play situations with children to help them understand what they are doing correctly and what they can do to improve. For example, my 7 year old was having a hard time with a classmate always telling him what to do. I had him role play this situation in the garden and coached him along the way so he would know what to say to his classmate when they were face to face. Here are some additional social skills activities that kids will enjoy doing. What a delightful activity with great details! What a great idea! 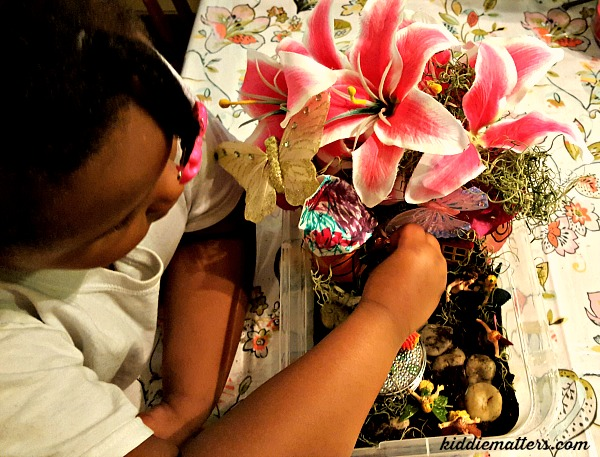 My kids love fairy gardens–I hadn’t thought to use them in this way! Thanks for sharing! Awww… So much fun. These fairy houses are adorable. Nancy the fairy garden is one of my favorite crafts to do with kids. Who doesn’t want to believe in magic?! What a cute idea! Love the idea of having the children role play different situations. It will help them sort through their feelings and rationalize why and how things happen. Thank you for sharing this idea! I also have a 7 year old boy, I like the idea of role playing! Thanks for sharing these great tips! Such a fun and creative way to work on important skills! Making the fairy garden creates opportunity and space to have great conversations as well!